Hosts Canada will welcome +50 000 supporters to BC Place Stadium in Vancouver, all spelling the name of their nation in prolonged verse to create a hostile and altogether unpleasant atmosphere for England in ironically named British Columbia. England made World Cup history of their own in defeating Norway in the Round of 16 and will be hoping to draw upon a 3-2 victory over the hosts in the 1995 edition of the tournament. Canada, however, are much improved two decades later. A Lucy Bronze drive completed a stunning comeback for England against Norway and delivered a milestone in English women’s football; their first World Cup knockout stage victory. England have thrice competed in the World Cup quarter-finals but 2015 is the first year that a Round of 16 has been introduced to the tournament. Norway were champions back in 1995 and came out the better of the two sides in the first-half. They were guilty of squandering a few clear cut chances though England’s ‘keeper Karen Bardsley was instrumental in keeping the Norwegians at bay. The half ended goalless but Norway struck shortly after the break to put England’s tournament in the balance. 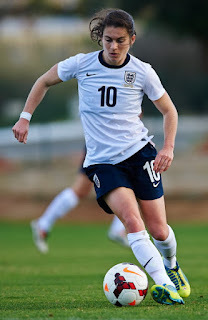 The Three Lionesses rallied and a Steph Houghton header seven minutes later made the match all square, followed by Bronze’s winner in the 76th minute. England lost to France in their opening group game before dispatching Mexico and Colombia 2-1; their win over Norway was their third consecutive victory by the same scoreline. Sixth-ranked England will now attempt to knock out the tournament hosts but this will be a difficult assignment in rowdy Vancouver. Canada’s fairytale Women’s World Cup continued as they progressed to the quarter-final with a hard-fought 1-0 victory over a resolute Swiss side. It was Canada’s first win over a European team in the finals in 11 times of asking and their appearance in the quarter-finals is only the second in their history. They finished the 2003 Women’s World Cup in fourth and will be intent on bettering that with home ground advantage. Switzerland’s presence up front and pressing tactics made life tough for the Canadians in the first-half and certainly silenced the massive Vancouver crowd. However, Josee Belanger’s strike in the 52nd minute sent the locals into a frenzy. Canada have only lost two of their last thirteen internationals including those played in this tournament, succumbing to France and England. They kicked off the World Cup with a 1-0 victory over China before being held to goalless draw by New Zealand. A 1-1 draw with the Netherlands proved enough to seal their passage to the Round of 16. Ranked eighth in the women’s rankings, Canada will feel they have every chance of progress with their resolute defence. They’ve conceded only once at this tournament and three times in their last ten outings. 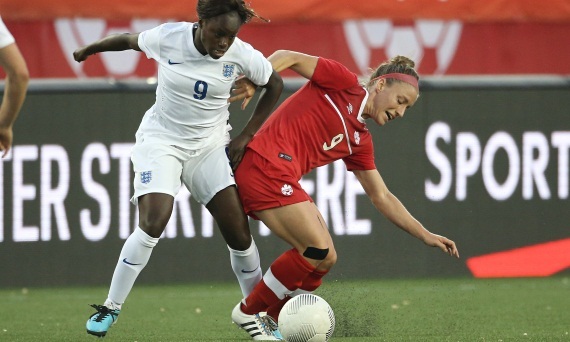 Less than a month ago, Canada beat England 1-0 in Ontario as both sides warmed up for the 2015 showpiece. However, England overcame their counterparts by the same scoreline in the Cyprus Women’s Cup in March. Clearly this match is too close to call. With Canada’s propensity to frustrate sides from the back and England’s misfiring forwards, I’m tempted by the Under 2.5 goals market at 11/20. This looks like it might be decided by a single strike.